Ok this is 2 full lots that are fully dividable. The .96 acres on Saint Claire Lake has the trailer on it. It is fenced with septic, well and electric. There is even trash pick up out there. It is located in Deland, and the lot on ChinaBerry which is in Royal TRAils is in Eustis. This lot is 1.24 acres and gives you access to the St. Claire Lake property. Or you could sell the Royal Trails lot and keep the lake front lot in Deland. CAll for more details. 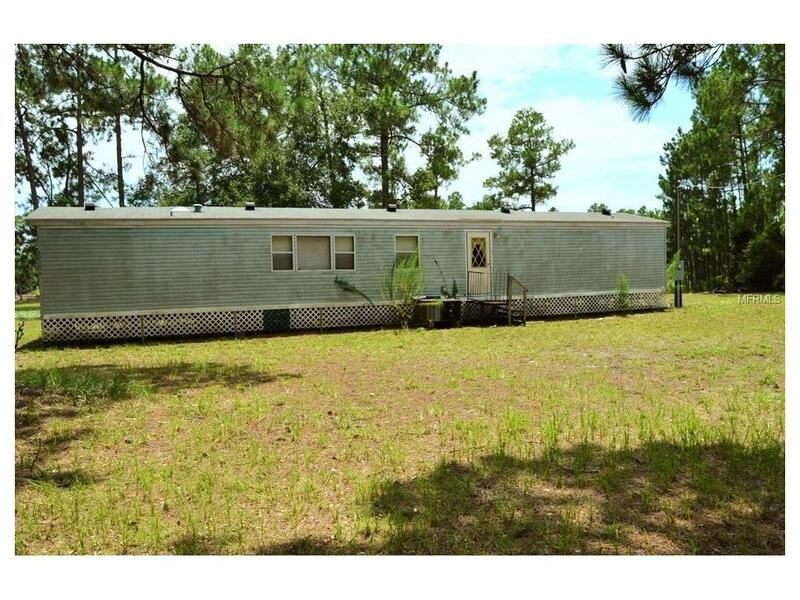 Trailer is in great shape, and is fully furnished. There is an HOA in Royal Trails but no HOA for the trailer lot. Let me know if you have any questions. Listing provided courtesy of Bear Team Real Estate.